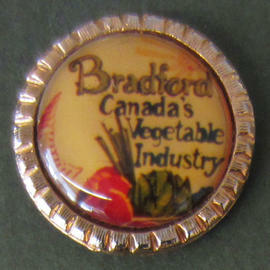 Metal pin highlighting Bradford's vegetable industry. 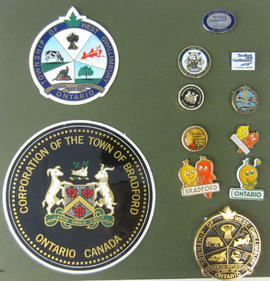 Board featuring 12 badges and pins, many highlighting Bradford's vegetable industry. 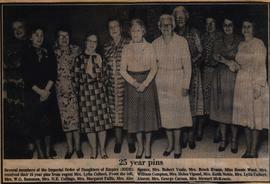 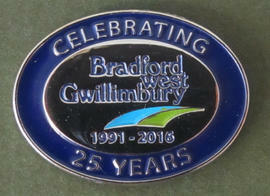 Metal pin created to recognize the 25th anniversary of the amalgamation of Bradford West Gwillimbury. 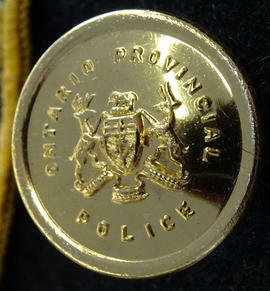 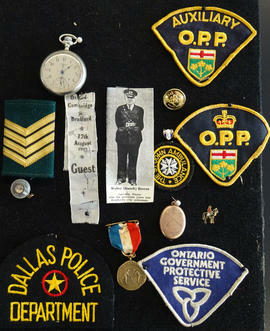 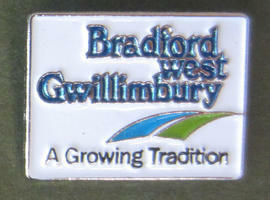 Metal pin with motto for the Town Bradford West Gwillimbury. 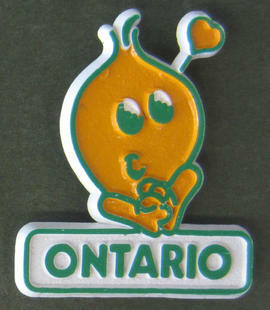 Metal pin featuring Bradford's vegetable industry. 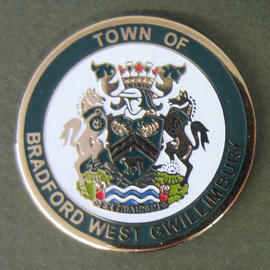 Metal pin of the amalgamated town crest for the Town of Bradford West Gwillimbury.